A pre-aged guitar – to some people it’s the daftest idea ever, while others think relicing imbues the instrument with its own type of charm. But one thing is clear: artificial ageing is here to stay! 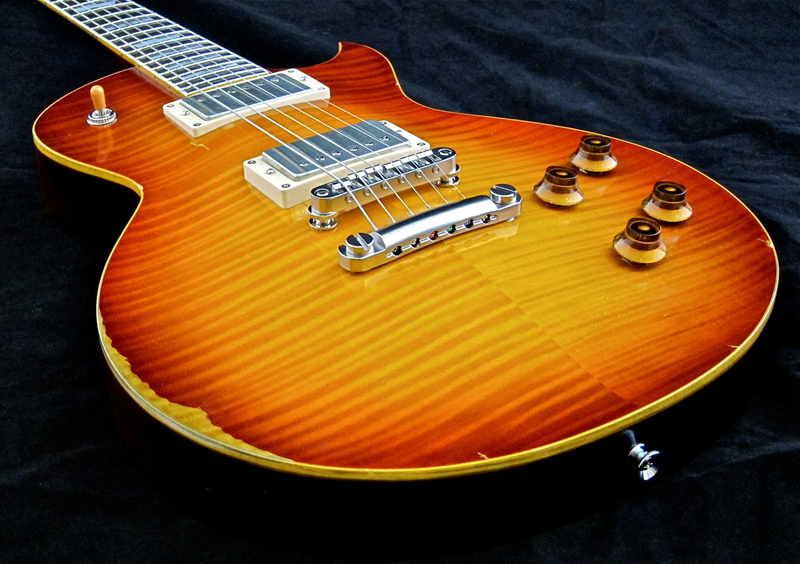 This time we will take a new-old ESP for a spin – the Eclipse II FM FT Distressed. The ESP Eclipse II Distressed (current price in Finland: 1.889 €) is a Japanese quality instrument treated to look and feel like a 50-year-plus veteran of the stage and studio. The rather realistic impression is achieved not only by dings, dents and scratches, but also by using a laqcuer that looks old and sunken in. The flip side of the Eclipse II Distressed’s body has also received lots of scratches and a bout of artificial belt buckle rash. The neck, though, has been left fairly clean. 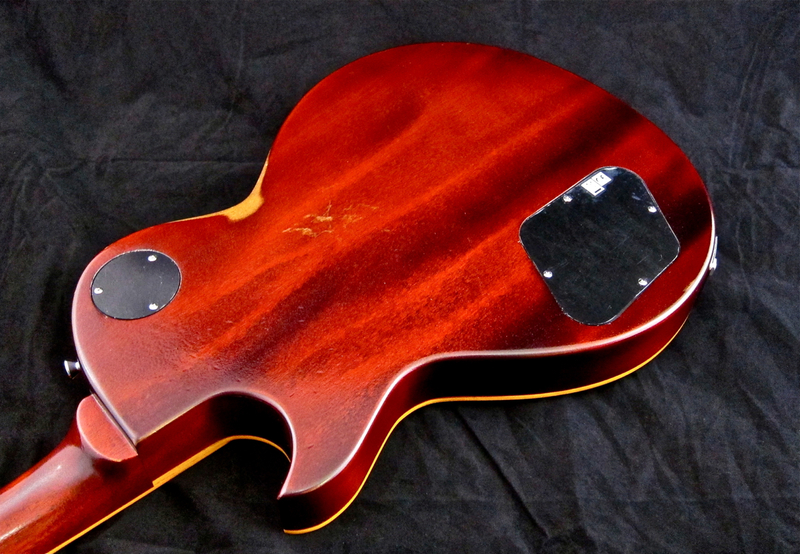 The mahogany looks scrumptious, and the finish does its bit to underscore the lively wood grain. 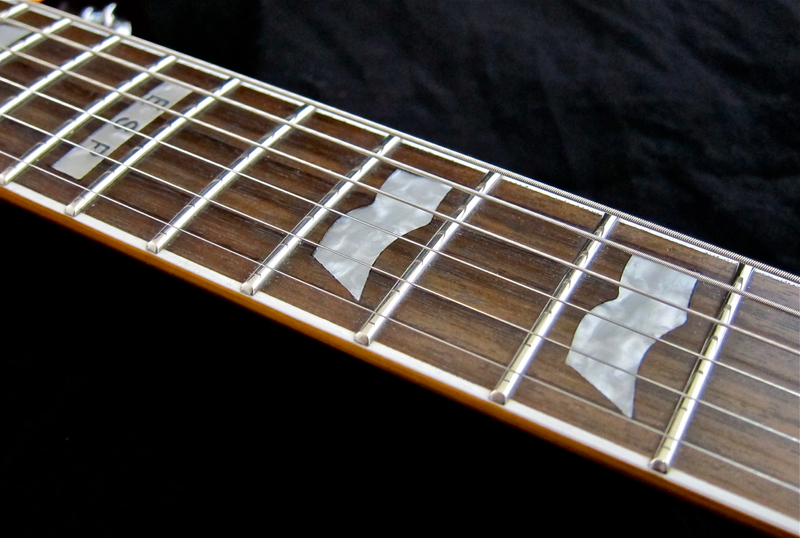 ESP have restrained themselves from adding over-the-top finish cracks, which is a good decision, in my opinion. 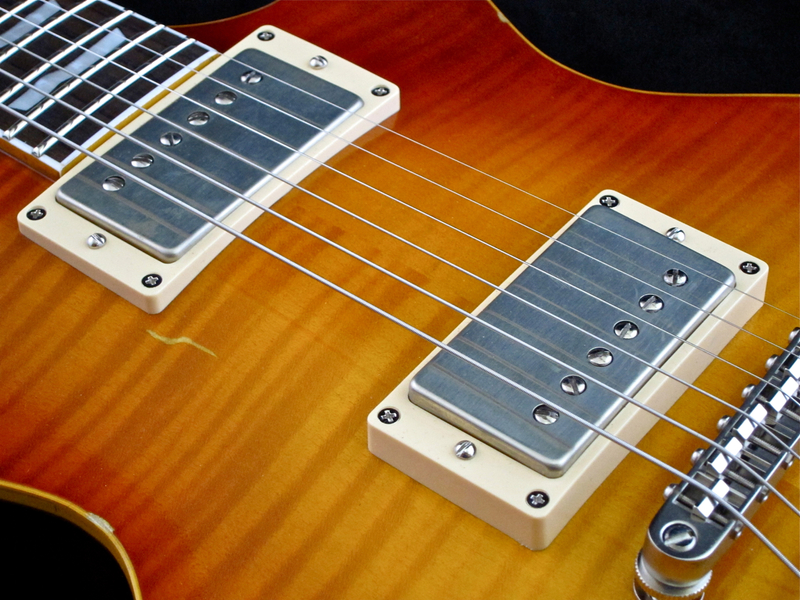 The Gotoh-machines look traditional, but are in fact up-to-date locking tuners. The Eclipse’s beautiful rosewood ’board and jumbo-sized frets have been left untouched by relicing – this is a brand-new guitar with a pristine playing feel, great! The neck joint is a traditional set-in job. This viewing angle makes it easy to spot all the dents in the sunken in finish (click the picture for a larger view). 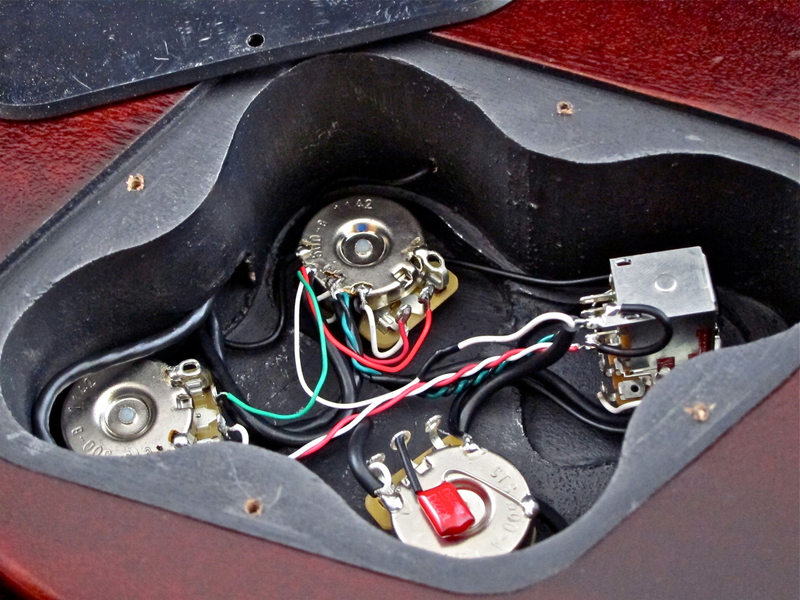 The Distressed-model comes fitted with Seymour Duncans: The neck unit is a ’59-model, while a Duncan JB -humbucker has been installed near the bridge. 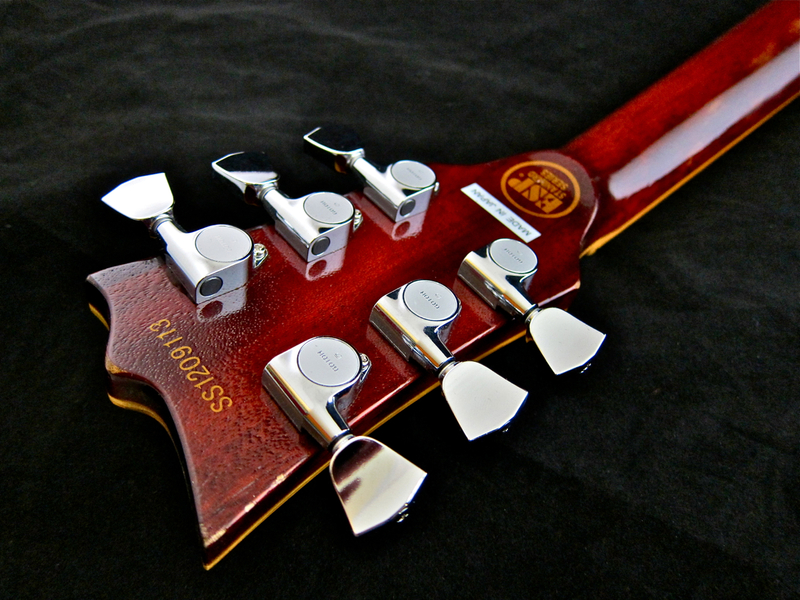 The brushed metal covers fit the ESP’s lightly-aged look to a tee. 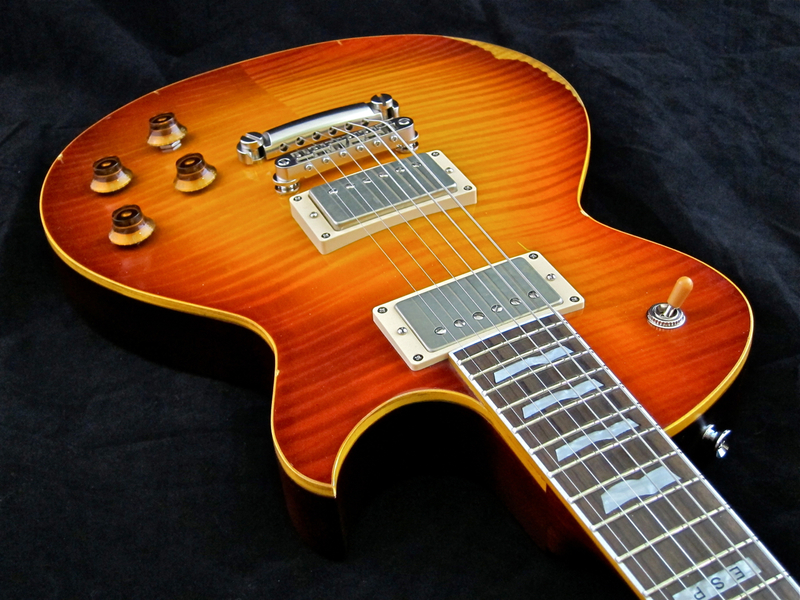 The neck pickup’s tone control is equipped with a push/push-switch that splits the humbuckers in the up-position. Everything’s hunky-dory in the control cavity – quality parts, clean workmanship and thorough shielding wherever you look. 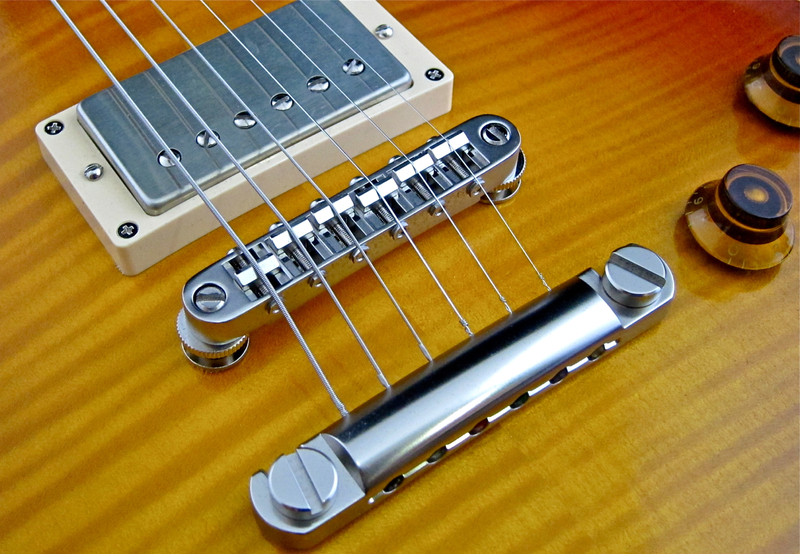 The tune-o-matic-type bridge and the guitars tailpiece are quality parts made by Gotoh. 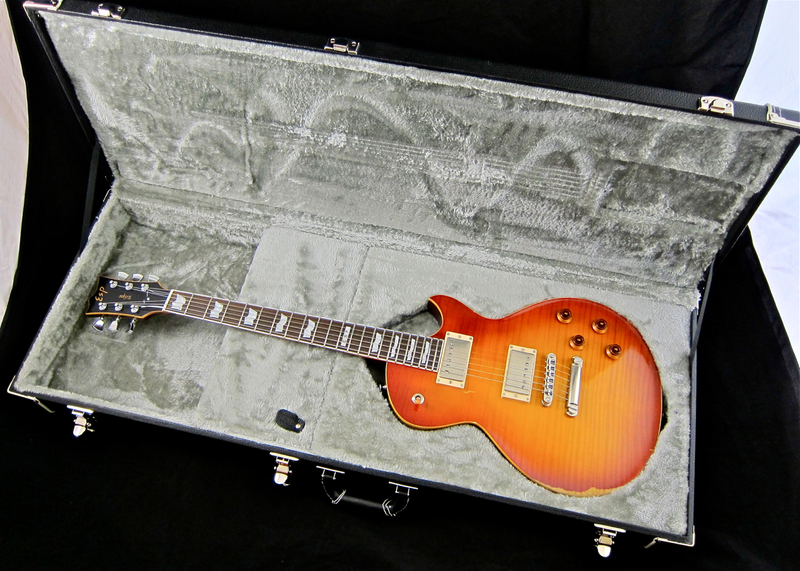 The ESP Eclipse II Distressed is sold in its own, beautiful case. Many players complain about the weight of a good deal of LP-type electrics, which can give you a sore shoulder or a hurting back. I can only suggest that these guitarists take a stoll to their friendly ESP-dealer, if this test sample is anything to go by! 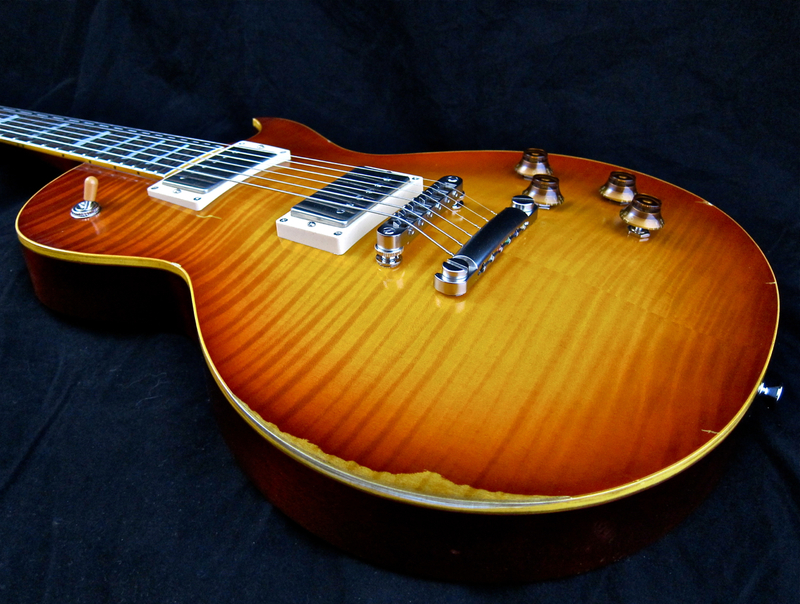 I don’t know whether it’s in the wood selection or whether ESP employ an Emmental-method (like Gibson) for weight-relief – by drilling large-diameter holes into the mahogany before gluing the maple top on – but this ESP is the most lightweight LP-style guitar I have ever played! 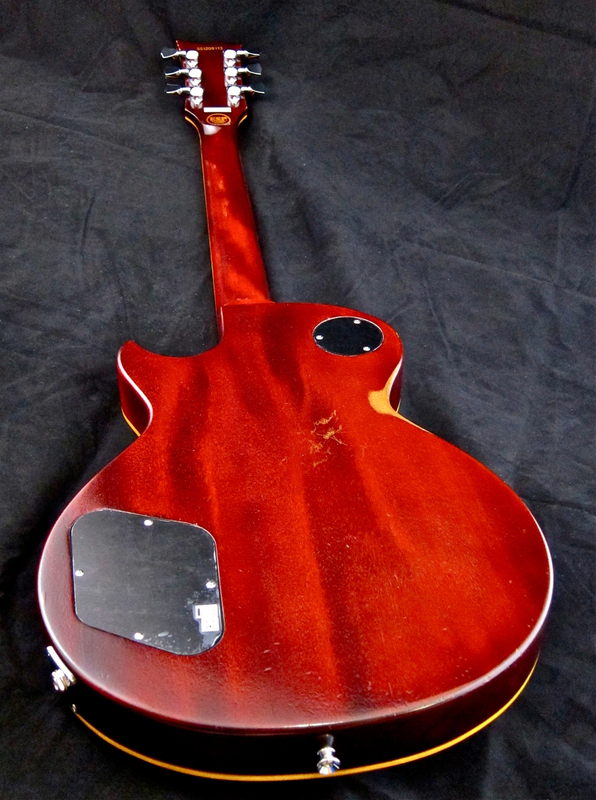 The neck profile is a very friendly medium-depth ”D”, not far removed from Gibson’s 60s-neck. The sunken-in finish feels smooth and fast, and the fine fretwork and large fretboard radius make for an easy playability. 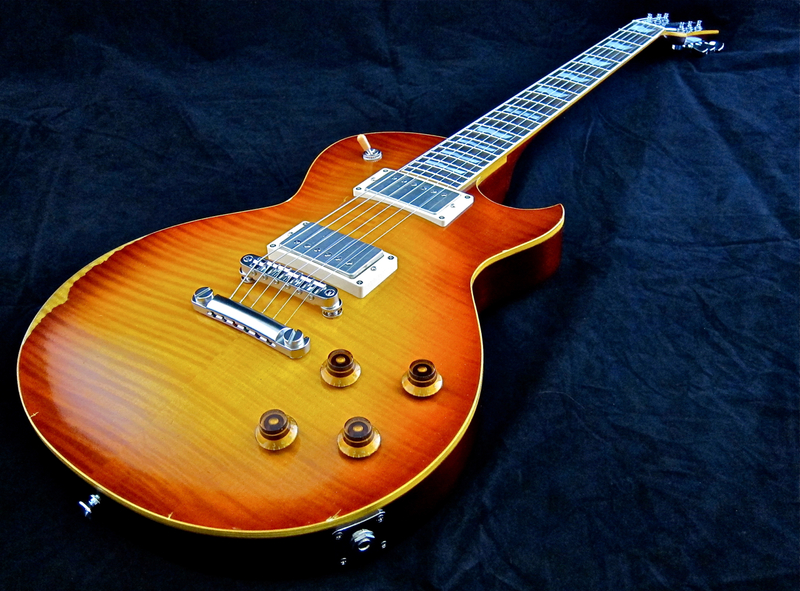 It’s hard to gauge whether this is due to the relicing or not, but the ESP Eclipse II Distressed feels really live. 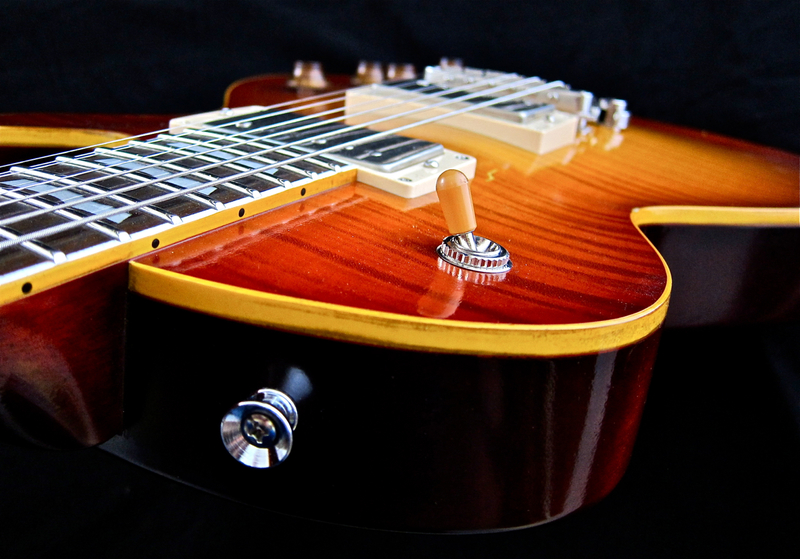 The guitar breathes and resonates freely, and its fine acoustic tone has a nice warmth and a sinewy midrange. 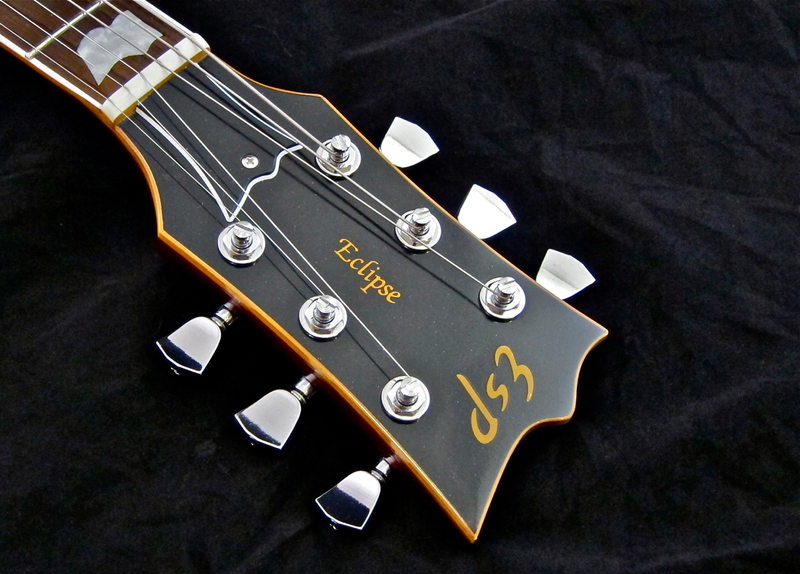 Seymour Duncan’s ’59/JB-pairing is an excellent choice for the ESP Eclipse II. The pickups have a good balance between themselves, and manage to convey this instrument’s tonefulness onwards to the amp with fine detail. The ability to split the ’buckers adds three fresh and springy selections to your arsenal.